(L to R) Men's champions Dave Austen and Ted Merritt. Women's champions Louise St. Pierre and Laurie Roth. 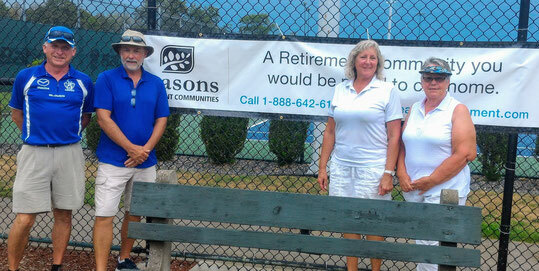 Congratulations to the winners of this year's Battle of the Sexes sponsored by Seasons Retirement Communities. Windsor's Dave Austen and Ted Merritt were the winners on the men's side while Louise St. Pierre and Laurie Roth from Dresden won the women's event. Due to severe weather, we were unable to complete the traditional roll-off between the champions.